Hello, I'm Rob Heber, and I've had a passion for photography all of my life, and a passion for life in all of my photography! 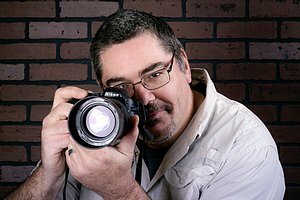 As with most professional photographers, I've invested allot of time, resources, and hard work into my photography education, skills, and equipment. I received my associates degree in photography from the Art Institutes in 2015, and am constantly upgrading my skills through various educational and training sources. But to be perfectly honest, all of that does not add up to much until you add in some creativity and a true love for the craft, along with an insatiable desire to only make the best photos I can, and constantly improve and grow. Those are my true strengths as a photographer. I could go on and on about how important the proper equipment, knowledge, and skills are vital in creating great photographs. And it's true that they are, especially when it comes to consistently making quality images in various conditions and situations. However, it's the connection between myself, my camera, and the people, places, and things that I photograph that truly makes the difference. A piece of myself goes into every photograph I make. Whether it's an image of an old car, a special glance given during a wedding, or a direct look into someone's eyes; there's a story being told and those stories are what I live for, and work so diligently to turn into a work of art.